Chris will be undertaking an epic, near 300km bicycle ride from London to Castle Donington & The Download Festival between June 12 and 14 with the Heavy Metal Truants, in the name of several children's charities. The seventh annual Heavy Metal Truants ride, officially dubbed HMT VII - Seven Deadly Spins in honour of its Iron Maiden connections, sees a global group of heavy music industry people come together to raise money for these children’s charities. 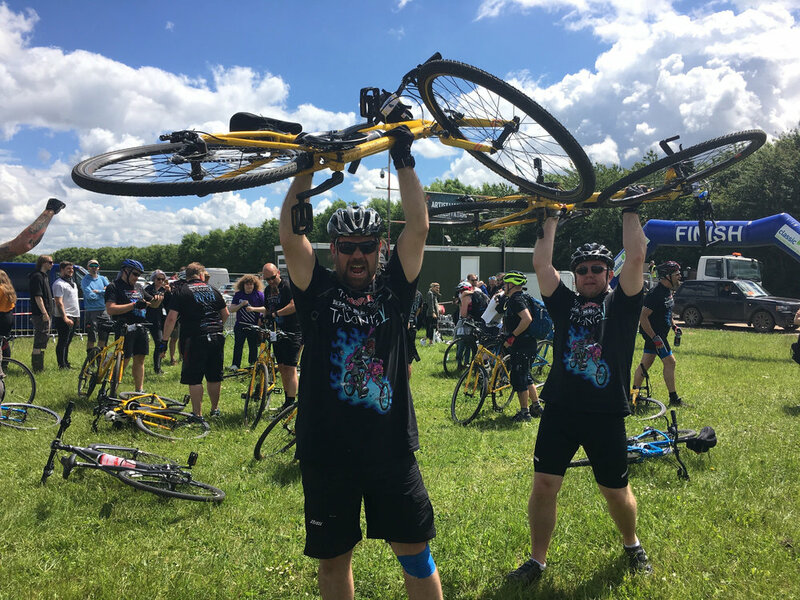 Heavy Metal Truants is the world's only Heavy Metal Charity Bicycle Ride, The brain child of former Metal Hammer editor-in-chief Alexander Milas and Iron Maiden manager Rod Smallwood. It’s three days, 185 miles and lots of metal! In short, it's about the brother and sisterhood of Metal uniting around some very worthy causes - in this case, Nordoff Robbins, Teenage Cancer Trust, and Childline, to raise money for children who need it most.